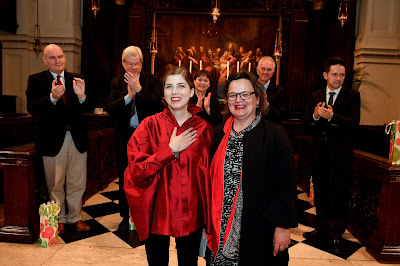 The final of the 15th Handel Singing Competition took place at St George's Church, Hanover Square on Tuesday 4 April 2017. Five young singers, counter tenor Max Riebl (from Australia), soprano Arianna Vendittelli (from Italy), mezzo-soprano Marcjanna Myrlak (from Poland), mezzo-soprano Heloise Mas (from France) and counter tenor Jungkwon Jang (from South Korea), each sang a 15 minute set accompanied by Laurence Cummings and the London Handel Orchestra (leader Adrian Butterfield), before five adjudicators, Ian Patridge, Catherine Denley, Michael George, John Mark Ainsley and Iestyn Davies (who was chair, and was himself a finalist in the 2004 competition). In addition to the first and second prizes, there was also an audience prize. So after hearing all the singers, we the audience had to make decisions too whilst the adjudicators were considering their verdict. All five singers were of a very high standard, and the repertoire chosen was remarkably varied with quite a few lesser known numbers (competitors can choose anything except Messiah). Max Riebl sang Tolomeo's aria 'Stille amare' from Tolomeo, David's Act One air 'O King, your favours with delight' from Saul and Arsace's Act Two aria 'Furibondo spira il vento' from Partenope. Max, whose brother is Australian singer songwriter Felix Riebl, first sang with his brother as a boy soprano and can be heard performing with his brother's band Cat Empire (see YouTube). He has a nicely even, finely focused counter-tenor voice with a lovely sense of line. The recitative preceding 'Stille amare' was finely dramatic, and he combined finely communicative English with lovely phrasing in David's aria, whilst his passage-work in 'Furibondo' was beautifully even. Arianna Venditelli sang Bellezza's aria 'Un pensiero nemico di pace' from Il trionfo del Tempo e del Disinganno, Fulvia's Act Three scena 'Ah! Non son io che parlo' from Ezio, and Ginevra's Act One aria from'Vezzi, lusinghe, e brio' from Ariodante. Arianna currently studies with the great Italian soprano Mariella Devia. Arianna has a bright, somewhat soubrette-ish voice, and sang Bellezza's aria with brilliant passage-work and some fire, though I felt she needed to make more of the words. Fuvia's scene was finely expressive, whilst Ginevra's aria enabled her to show off real charm and I longed to hear her as Morgana in Alcina or Cleopatra in Giulio Cesare. Polish mezzo-soprano Marcjanna Myrlak sang Ariodante's Act Two aria 'Scherza infida' from Ariodante and Serse's Act Three aria 'Cruda furie' from Serse. 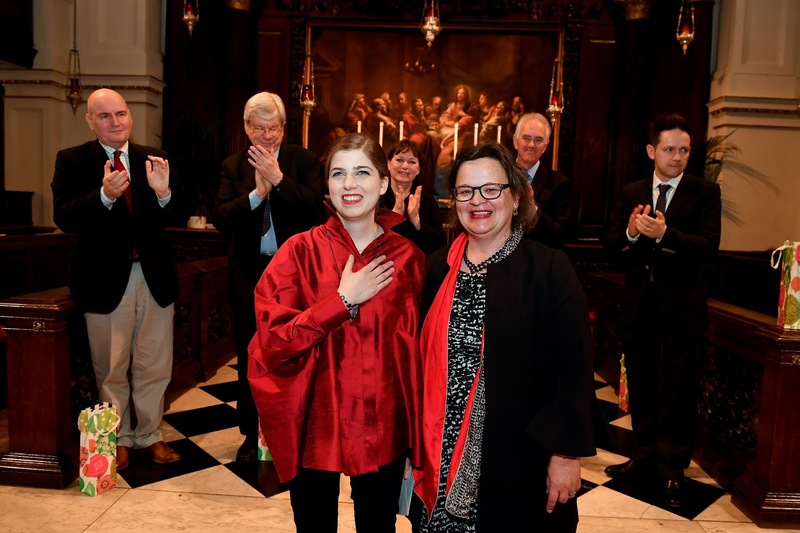 Marcjanna is currently completing an MA at the Karol Lipinski Music Academy in Wroclaw under the direction of her father Kazimierz Myrlak. Ariodante's aria started with recitative full of meaning, and continued with Myrlak's impressively controlled and paced performance (it is a long, long aria). She has quite a high, vibrant mezzo voice, highly expressive but I wanted her to do more with the words. Serse's aria had some wonderful displays of temperament and a strong technique. French mezzo-soprano Heloise Mas also sang Bellezza's aria 'Un pensiero nemico di pace' from Il trionfo del Tempo e del Disinganno, and excerpts from the cantata O numi eterni 'La Lucrezia' which led directly into Medea's final aria 'Moriro ma vendicata' from Teseo. Heloise studied at the National Superior Conservatoire of Music and Dance in Lyon, and future roles include Maddalena in Rigoletto and Siebel in Gounod's Faust. She brought a great sense of expressive phrasing to her performances, and clearly made a great deal of the text bringing out the sense that the complex passage-work really means something. The sequence from La Lucrezia created a strong sense of character. Korean counter-tenor Jungkwon Jang sang Bertarido's Act One aria 'Dove sei' from Rodelinda, David's air 'O Lord, whose mercies numberless' from Saul and Rinaldo's Act One aria 'Venti, turbini' from Rinaldo. Jungkwon currently studies at the Hochule fur Musik und Theater Hamburg with Mark Tucker. He has a warmly vibrant counter-tenor voice and both the aria from Rodelinda and the air from Saul with sung with beautiful poise and a very fine sense of phrasing indeed, and communicative English in the air from Saul. Whilst his final aria showed us more temperament with great relish for the words. It is always intriguing listening to competitions and trying to assess what the judges are looking for, Personal taste and style can come into it, as can the fact that an audience member might be assessing simply the performance which they are hearing, whilst the judges may be considering how the young singers voice and technique might develop. In his introductory speech, Iestyn Davies commented that the adjudicators had found all five of a very high standard. 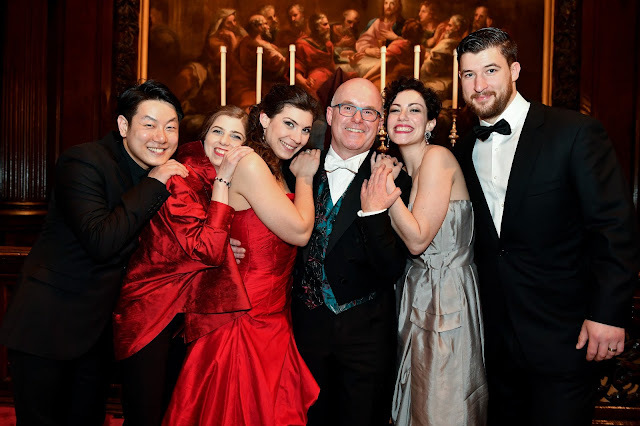 Counter-tenor Jungkwon Jang received the audience prize, Arianna Venditelli took the second prize and Marjanna Myrlak received the first prize.